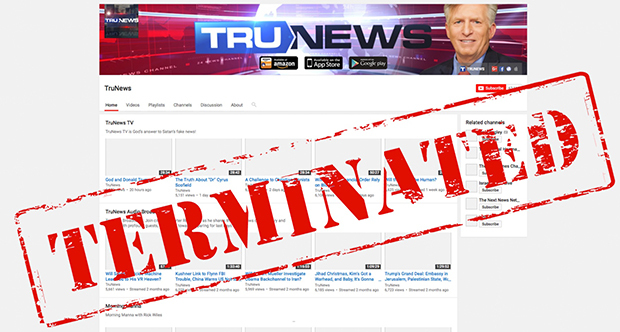 You are here: Home » News » Church » Persecution » Trunews permanently banned from YouTube today. Trunews permanently banned from YouTube today. Christian broadcasting ministry, Trunews, has been blazing trails in recent months with the launch of their new video broadcasting platform, but today they hit a bump in the road when YouTube banned their channel. Over the years, Trunews has encountered stiff resistance from Christian television and radio stations as many of them have refused to carry their program because they preach an unpopular and controversial, but scriptural message, telling people they must repent from their sins to get right with God. It’s a sad statement about the condition of the Church in America today. Meanwhile, YouTube has also been blazing trails, but not in a good way. They’ve been cutting off their revenues for many Christian YouTube channels and outright banning others. Trunews just happens to be their latest victim. Trunews posted this announcement today. The social media tech giant terminated TruNews’ account. Pastor Wiles was incredulous that YouTube cited two newscasts from 2014 and one newscast from early 2017 as offensive. “YouTube’s cyber bullies are so desperate to silence Christians and conservatives that they are rummaging through years of media content searching for anything that offends their precious little snowflake minds,” he lamented. “The Lord also told me during that fast in January 2010 that it will soon become very dangerous and difficult to travel the world as a Christian pastor or missionary,” he said. Pastor Wiles went to work and invented Prazor, the world’s first Christian OTT service. It will include 24/7 linear Christian television networks, video-on-demand, audio podcasts, and nearly 100 streams of Christian music. 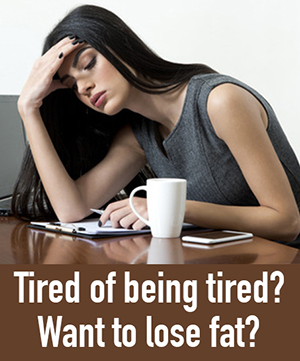 “Prazor will be launched this summer. It is God’s ’parting the Red Sea’ miracle for Christian churches worldwide to escape the censorship of the New Nazi Tech Tyrants,” said Pastor Wiles. He said his church will not sue YouTube or take any actions against them. “It is their platform. I believe in free enterprise, free speech, and freedom of association. Google owns YouTube. It is their right to choose whom they want to be seen and heard on their platform. I took advantage of their free bandwidth to spread the Gospel. They are now shutting down men and women who are preaching an uncompromised message,” said Pastor Wiles. While many false prophets are claiming all is well and America is on track to become greater than ever before, YouTube’s actions show all Christians are in danger of losing our freedom to proclaim the gospel. The level of persecution has ramped up significantly in recent years, putting us on track to fulfill what God revealed to Dr. Patricia Green, that by Passover 2020, just two years from now, it will be against the law to publicly proclaim the gospel message in America. All is not well in America. I believe God has given us a small window of time to continue, but the danger of getting silenced is real. Internet sites like Z3 News are prime targets for those hostile to the truth, so I recommend anyone who wants to keep in contact, please sign up for our mailing list by using our sign up form, which is at the top of the right column on every page. Although we have not sent many emails in the past, it might become our only way of communicating in the future. I have no doubt that this censorship of Christians will become more and more obvious – but there is coming a huge interruption in their agenda. When God’s move sweeps this earth, there isn’t a thing people will be able to do about it, for God will not be restricted and hedged in this time, nor will His teachers be removed into a corner anymore. Rather, there will be overcoming and conquering of Satan’s domains in every aspect of living on this earth, for this is the time for Him to be revealed as the Risen and Overcoming Lord of all that He is. Bob Jones, well known prophet that used to live in Kansas City, stated that God told him there would be huge gatherings that stadiums could not hold, and because of the miracles and manifestations going on at these meetings, including the raising of the dead, the media would be stationed right there and just letting their cameras roll. I know the Anti Christ system will eventually be given its day, but not before Jesus Christ reveals His overcoming, resurrected Church in His Mt. of Transfiguration glory. So just when it looks like the doors are closing and we just will have to make do with what we can find, get ready, because God is going to blow the doors open, and no one – anywhere, will be able to stop it. Neville Johnson stated that just as there were manifestations of Jesus before he ascended to heaven, in like manner we will see Jesus appear in meetings before his return. Hi Lori. Yes, suffering with Him has almost been forgotten as a mandate to sharing in His glory – so important! Philippians 3: 10 says it – we must be conformed to the image of His death – then we can look forward to the Appearing – if worthy enough, and to the rapture/resurrection. But if we love Him – it’s a pleasure to suffer with Him and then walk with Him into glory. While I disagree with Rick Wiles regarding eschatology and place of Israel, that has nothing to do with YouTube censoring his videos. Very sad that this is happening in America, especially when Google dredged up TruNews videos from years ago to justify their censorship. Sad day. Well I can testify Nr 1: Dave from X22-Report broadcasts, that the deep state is weakening, so that they allready started to panic. Q predicted, that their will be investigations on the giants (google, facebook, amazon, twitter) and it has allready started on facebook. Dave believes their will be a giant false flag event in the near future. In other words: The calm before the storm is over. We have to be awaken if we want to be a rock in the breakers (Mt 16,18). If folks aren’t paying attention to Qanon I would suggest doing so. There is much going on behind the scenes – Christian patriots within our government who have not given up on the vision given to our founding fathers. If you are familiar with some of Kim Clement’s prophesies regarding Trump, North Korea and Iran – they uncannily tie into what has been appearing on the Q boards. It is very interesting to say the least. And yes, I think we can expect a huge false flag as well. Like Rick Wiles said, half of the country is awake to the MSM and the deep state may have no choice but to go for broke soon as their grip slips away. Keep preparing and keep praying. We have entered times that we’ve never seen anything like before in our lifetime. If you feel led, please contact me at Ed.visionwoodworks@gmail.com. Hi ed h, I just emailed you. Veit: Thank you for posting the example of the children of Israel crossing the red sea, escaping slavery; being delivered by The Almighty Lord from Egypt & the Egyptian pharoh & army. It’s what I’ve been praying for: “safe passage for us & our little ones”. if possible, could you post sadhu link here, thanks ! AMEN and AMEN, could you post the link of pastor Sadhu’s video here ? I have been feeling for a while now that Christians should start to develop their own version of You tube or Face book or platforms like that. I truly believe that the time is coming where all forms of dialogue regarding Christianity, prophecy, family values, biblical history, or ANYTHING related to Christ will be banned on the regular sites or will be considered hate speech or controversial. I pay there are Christian techs out there working on this stuff because I feel in my heart this time is VERY soon. People have been fired from Google just for expressing an opinion that the bosses deemed controversial. Joyce, I think that is what the Prazor platform at TruNews is all about. In the future, we may have to go through Prazor to get to z3news. A few weeks ago I complained to You Tube about their censorship of Trunews, Alex Jones, Jordan Peterson, etc. I used the “Send Feedback” form. It sure is! Essentially they are pushing Christians OUT of the system. Which is probably a good thing coz the system is rotten to the core. We shouldn’t be part of it anyway. God told me just recently that I’m “ gonna hafta rely on him for everything”. I just take his word for that & pray into it now. But everything has been weaponised. The medical system, utilities, your computer, TV, food, water, the govt, THE VISIBLE CHURCH complex, the judicial system…. everything. That’s what God has been showing me. Most people in the system don’t even know. They are in the matrix. & they hate anyone who wants to get out or questions it. Ie True Christians. Of course the mark will be the deciding line. Are we ready? Yes! It’s getting serious! Coz Gods getting serious! It’s not just the snowflakes @ youtube/google, FB etc doing the censoring. It’s the advanced algorithms they use. Of course those algorithms are programed by people& snowflakes who are hostile to truth or anything they don’t like & put it into the trash so to speak. Infowars has had the same thing going on, natural news etc. but there are other alternative platforms that can be used… at least for the time being. Until they get bought out by “big antichrist tech” ( BAT ) as well. But True Christians need not worry. A time is coming when people will be so over the censorship & propaganda of these media platforms that people won’t use them any more. To wit, God is raising up men & women who will just stand in the middle of nowhere & start speaking out with the Holy Gohst in authority & THOUSANDS will just come to listen & be mightily saved on the spot… no social media platforms needed. Although Infowars brings some great truth reporting they arbitrarily censor totally scriptural forum comments that they don’t like whilst allowing some rather abusive posts be seen by all. The same goes for Z3 news. If you don’t want to be censored because you don’t happen to agree with what was posted, no matter how scriptural then you should do it to others….. AND YOU DO! I’ve seen it. If you don’t want to be out in the TRASH – don’t do it to others! Z3 News does not offer an open forum for anyone to post anything they want, similar to how a church pastor does not give the microphone to anyone who wants it. Imagine the confusion that would cause! Everyone is welcome to read our articles and comments, but not everyone is allowed to post comments. It’s a privilege granted only to those who share our mission, which is to provide content edifying to God’s righteous remnant, building faith and enlightening understanding of the scriptures. Comments undermining our mission are blocked if possible before they get posted, but sometimes must be deleted after posting. There are lots of other sites that allow anyone to express any opinion they want, but opinions contradicting scriptures only cause confusion and more harm than good. For anyone who wants that kind of platform, I recommend finding one of those sites because we’re committed to our mission and planning to add more restrictions to posting comments in the future. Well I’m thankful that James does moderate the comments, to me personally it has saved me some embarrassing moments that would have sent me to hide under a rock now. Through James’ obedience I was saved two years ago and James has definitely helped me grow in the Lord as well. And I like his boldness, although at times it has been hard to take as well, it has surely made examine myself. Also, he has moderated not so pleasant comments from others to what I have posted that I’m truly glad no one has had the opportunity to read. James has humbled me many times and all I can say is Thank Lord for James Bailey! Bless him and his family immensely! Thanks for the encouragement and feedback Francy. I’ll been on z3news for about three years and have been moderated once. I don’t always agree with James but I believe he is generally fair in his approach. You cannot have unscriptural words and assessments that are plainly wrong and negative to the Christian community.. Thanks for your feedback Phil and for co-laboring with us. A couple of vicious comments, posted following something I had commented, managed to slip through to my email before James removed them and I was grateful for the fact that comments are monitored and removed if unedifying! Same here Christine. It is shocking what some people will say. And being argumentative is never edifying to anyone. I’m glad he moderates as well. I’m thankful that you do monitor the comments and reject negative unScriptural ones. Many Christian YouTube sites don’t have the time to do that and I have quit commenting on them due to the hateful responses I get when I just post a thanks and an agreement with the owner. That should read … “shouldn’t do it to others” I think. Jamoise, we can say very factual things in a very harsh way that doesn’t build us up, but tears us down. Why would others be subjected to my bashing? If I don’t speak in love, my words are worthless. Marcio, The bible is full of harsh truth! Jesus called the scribes & Pharisees broods of vipers. & yet still called them to repentance in love. The problem with the current church is that they have itching ears that won’t accpt what they think is harsh. It all has to be sugar coated. The sugar IS the poison! The word of God is a double edged sword able to divide between bone & marrow, soul & spirit even to the very thoughts & intents of the hearts, my friend. What the church calls love is being Molly coddled Into a false sense of security that will lead to hell. God has to speak harshly because the wooing isn’t working. He has to get a reaction one way or the other. The sword of God divides. Jamoise, James and other contributors at Z3news have many times warned the Church without sugar coating. You are presenting factual truths, but seem to be attacking James and Z3news. You love James and the blessing that Z3news is to the Christian community, right? Thank you James for the “True” news as well. Time is short for the freedom to witness to others. I was not taught to witness. As a child, I was told it’s a personal thing, a private decision. As I grew up and actually read the Bible, I learned that was not true. The most exciting thing you can do in your life is share the gospel of Jesus Christ and pray with others leading them to Christ! I signed up and gave my email (which is actually different than the email on disquis.) I also decided it was time I donated because I’m sorry to say I had not before! You do a lot of good James and I imagine very hard work in compiling all these news and prophetic words together for us, so I figure if we all gave the least, you might fare well. Keep praying & keep witnessing while it is yet day! Love one another!! God bless! Thanks for your support and encouragement Ann Rene\’. God has used the generosity of the Z3 community to sustain us these past few years like manna from heaven. The persecution of Christians are worldwide. I just saw the news today that effective end of March, major internet retailers such as Amazon and other similar giant China internet sellers have stopped selling bibles over the internet. My friends in China saw the news, went online to search and verified the news was true. Please pray for China. It is disheartening to think that one day China may become as heavy armed as North Korea. Please pray that the Christians in China will be able to endure this challenge in their faith. That’s an amazing news report. Thanks for sharing KoCalifornia. It may be in minority, but we have heard Trunews, Z3 news, etc. I stand with you as we move forward. Though we may made to be apart physically, nothing will stand in God’s way in bringing a listening, aware, and harnessed body together spiritually.